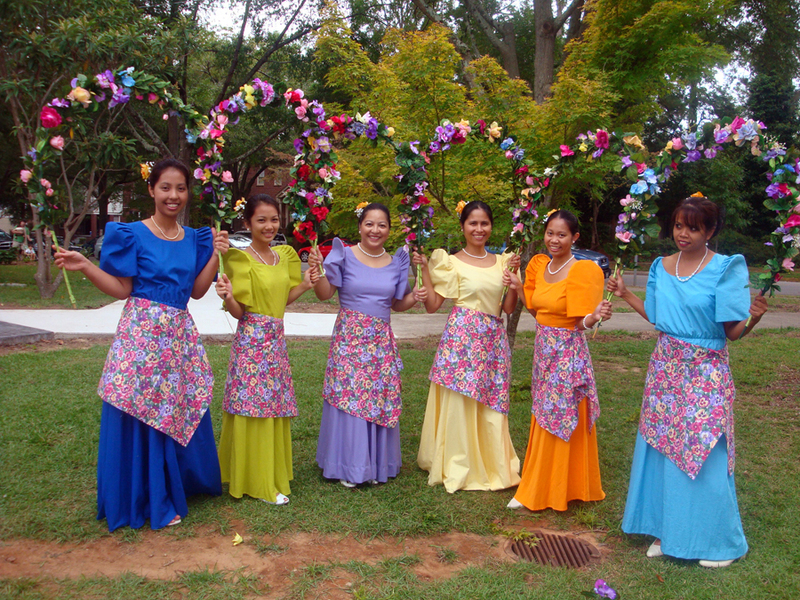 Columbia Fil-Am Dance Troupe at International Day of Peace, Sept 20, 2009. 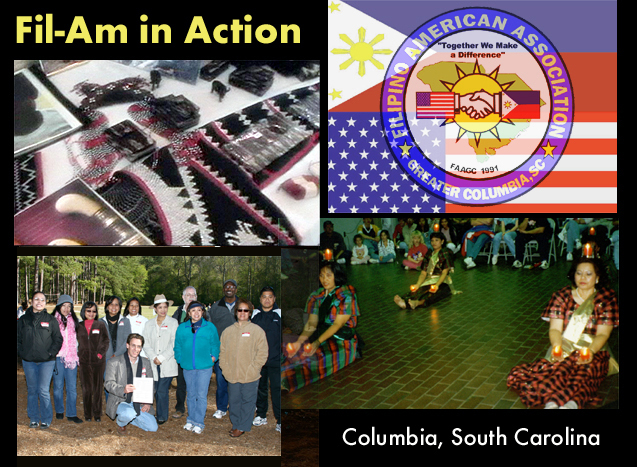 Unitarian Universalist Fellowship of Columbia, photos below by Alan Geoghegan. 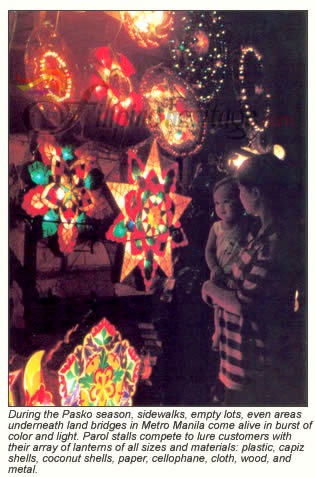 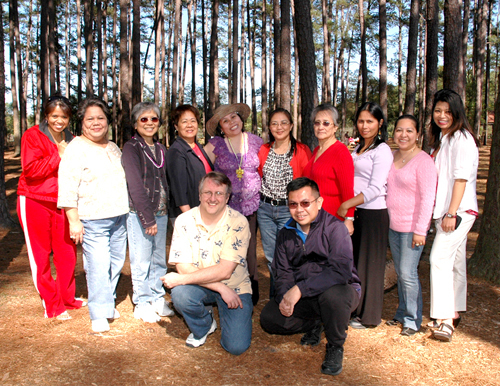 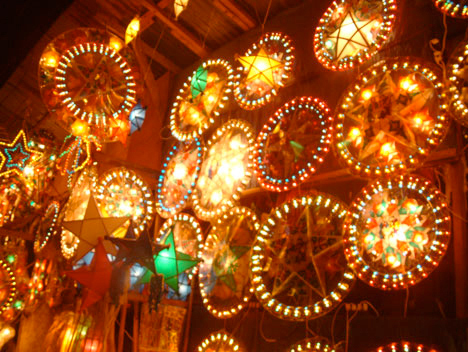 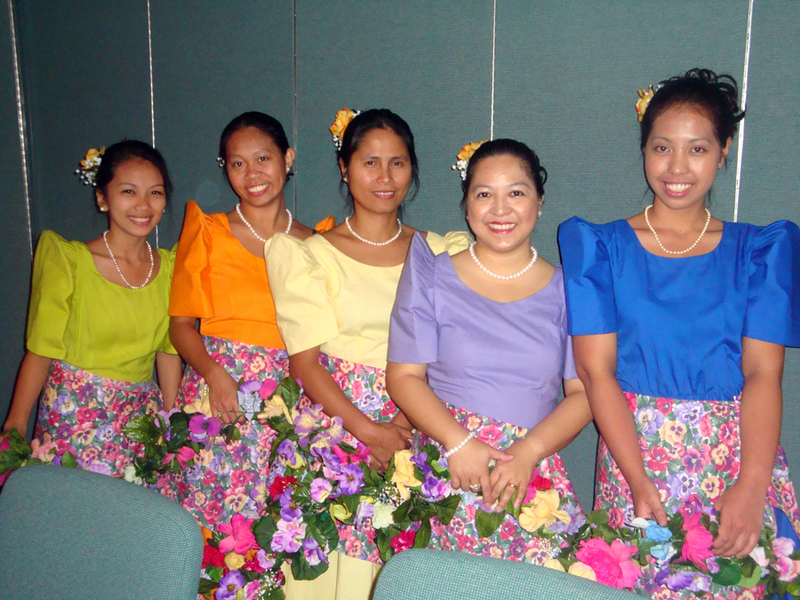 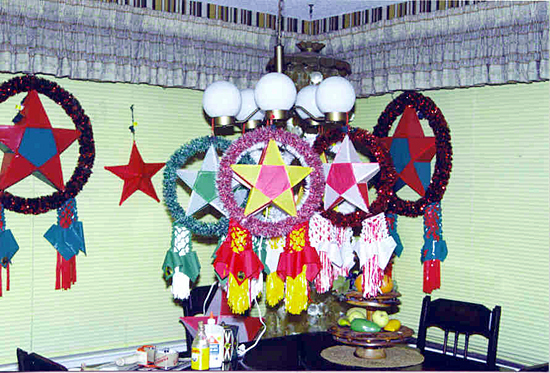 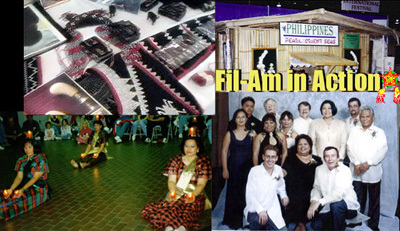 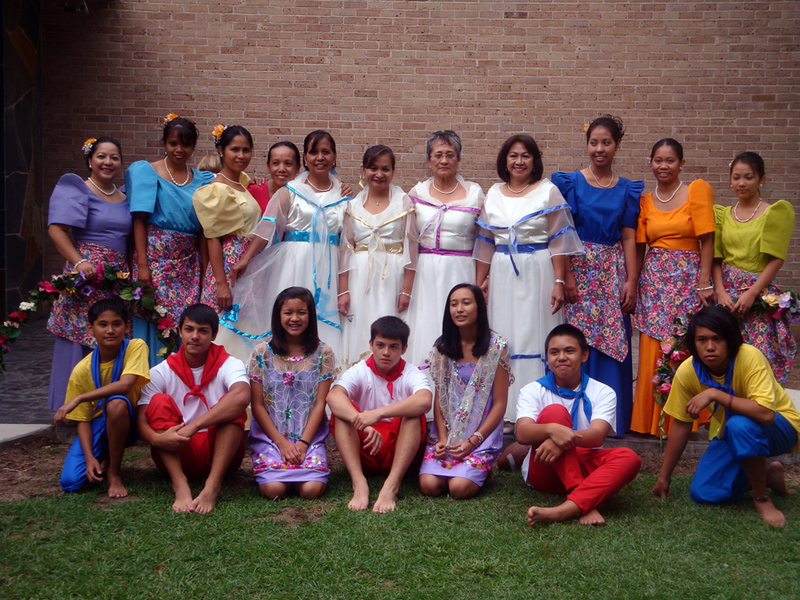 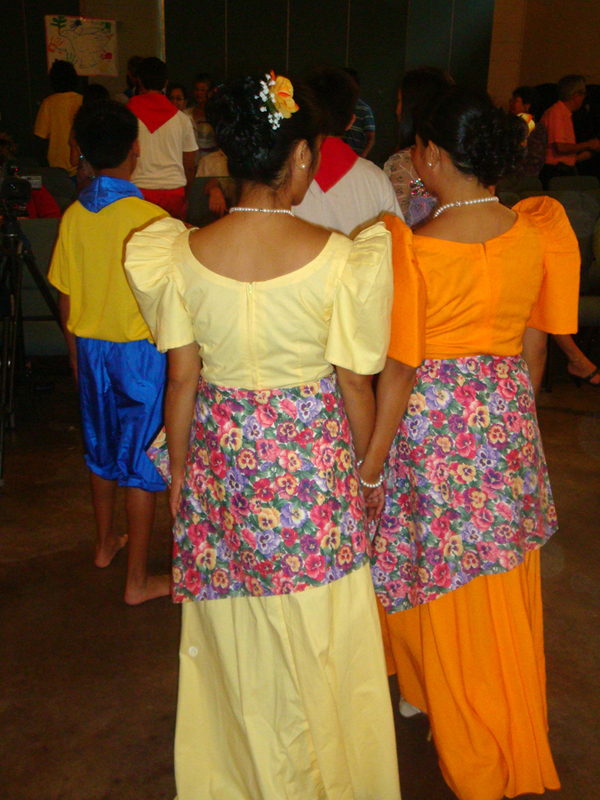 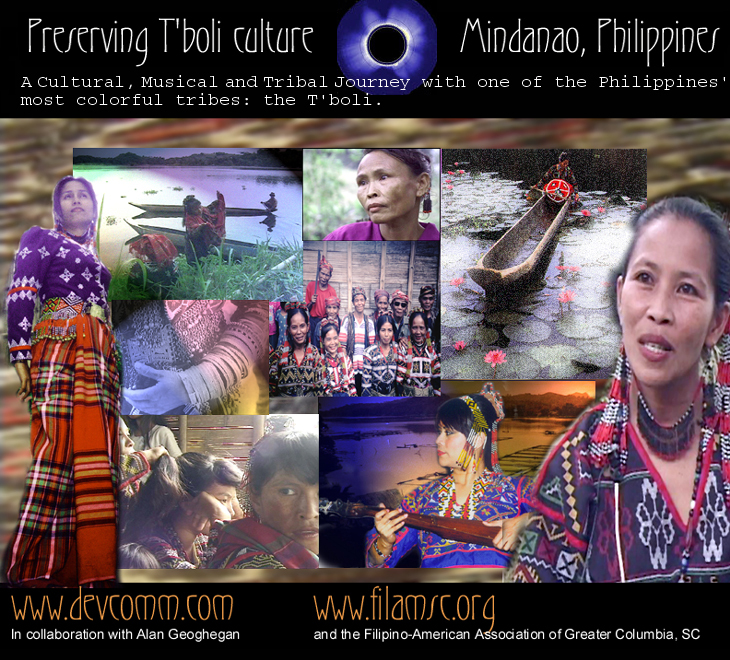 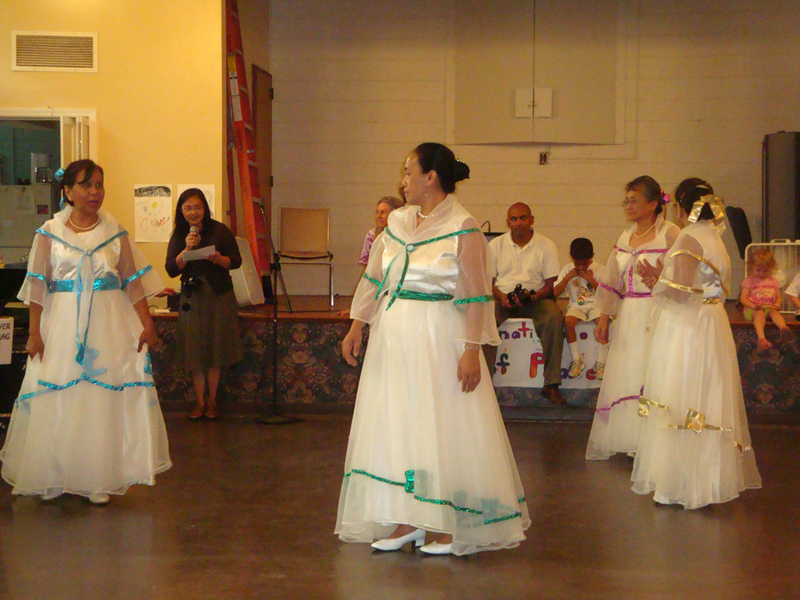 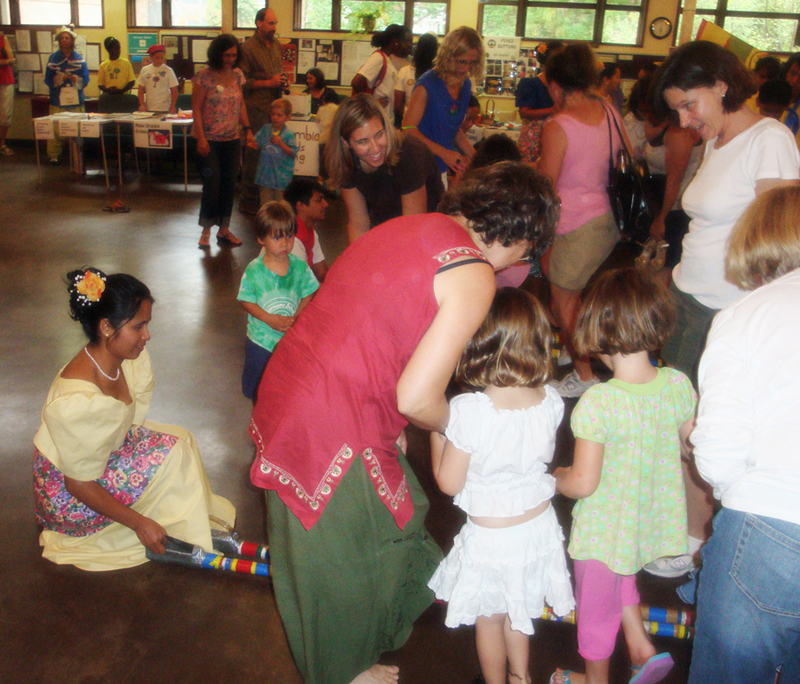 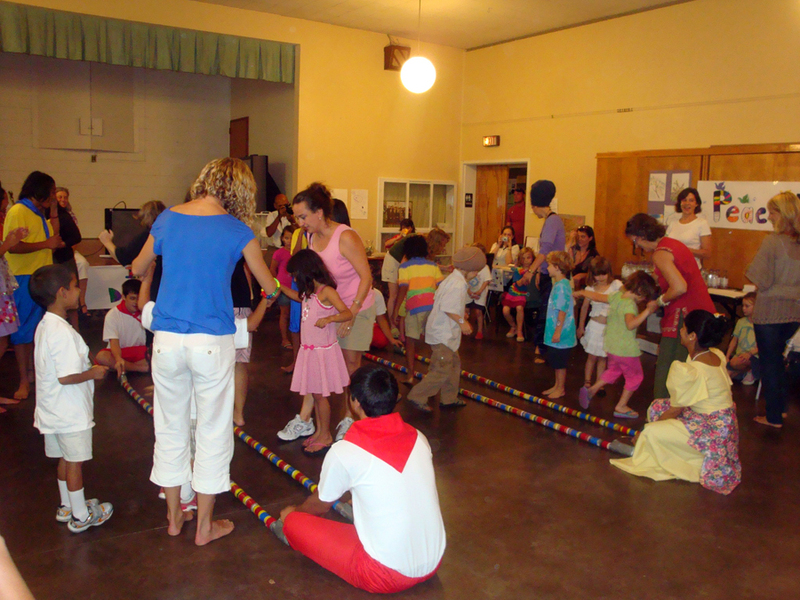 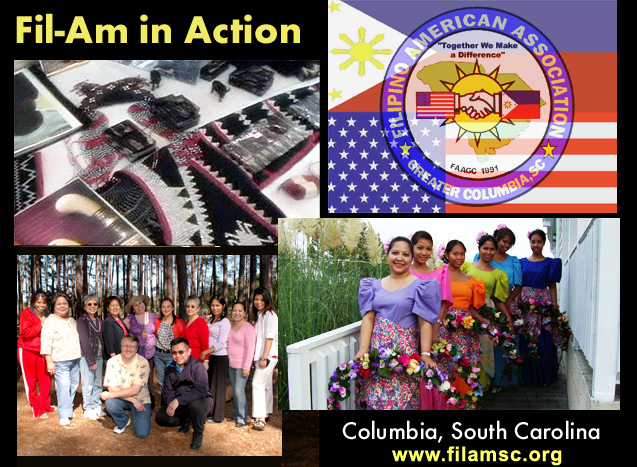 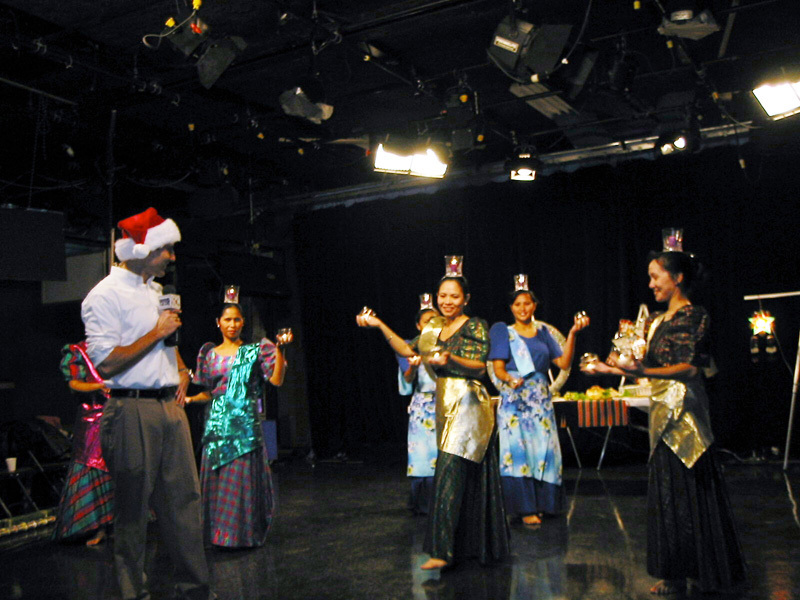 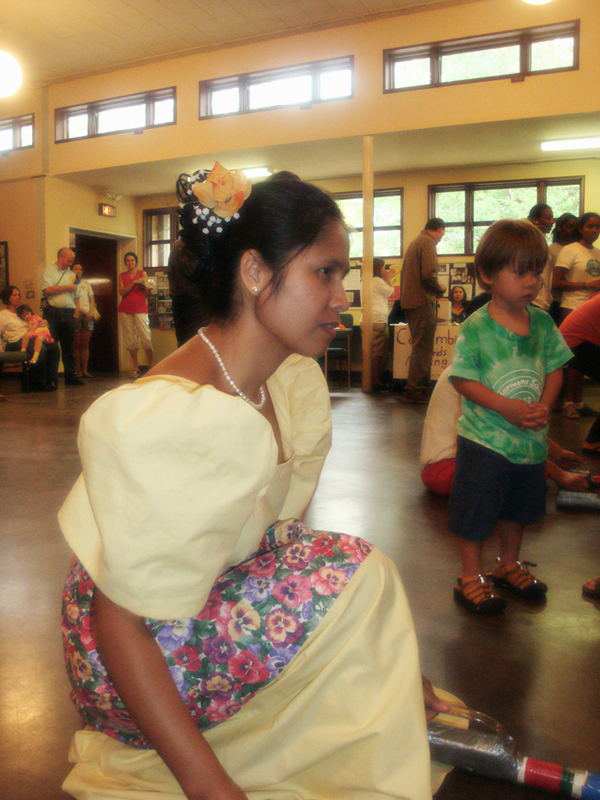 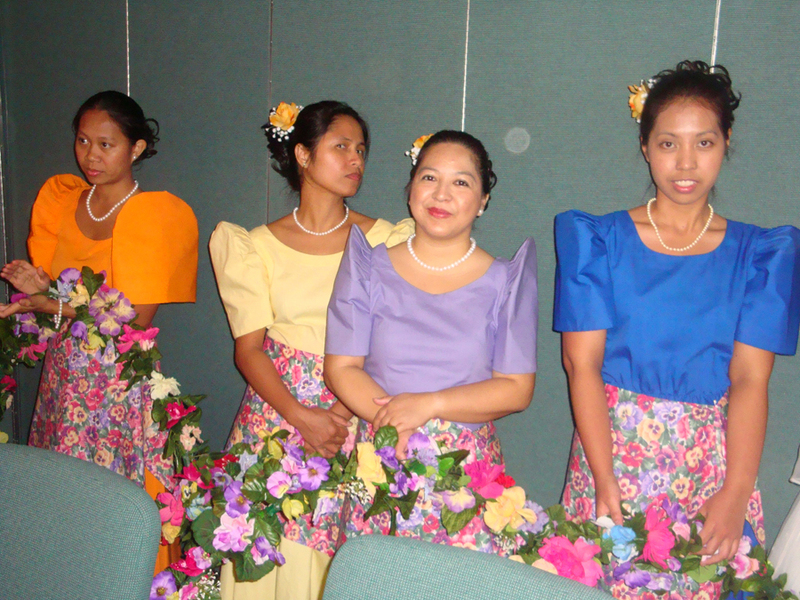 (clips, above) Columbia South Carolina Filipino-American cultural/modern dance compilation from 2003-2008.
and the Filipino-American Community of Western North Carolina (FAC-WNC) cultural troupe and other fil-am activities. 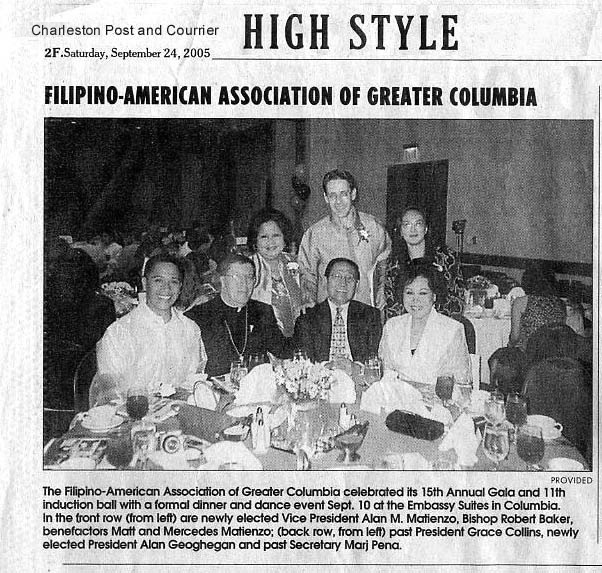 videotaped & compiled by Alan Geoghegan, sept. 9, 2016. 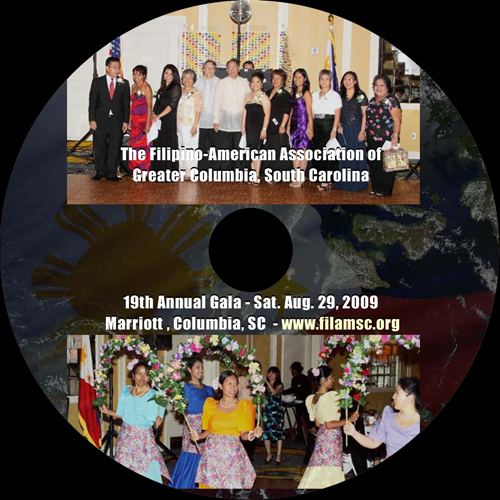 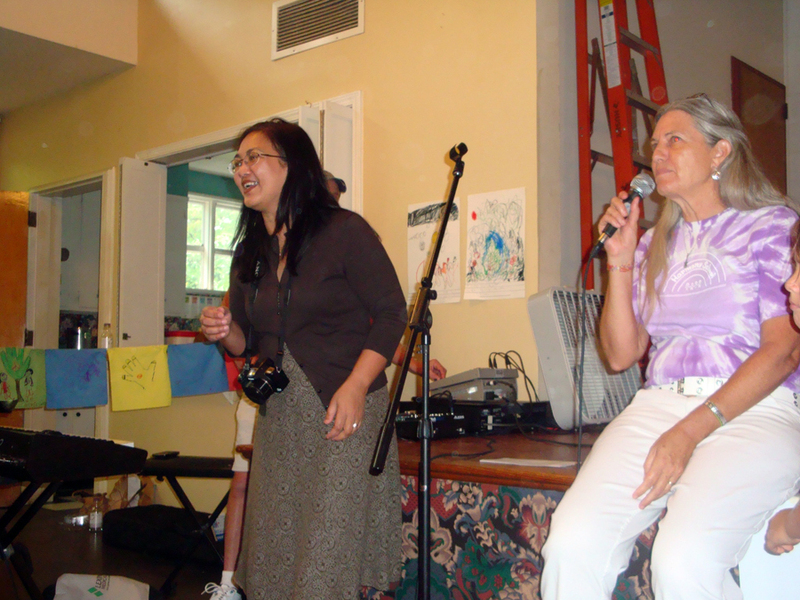 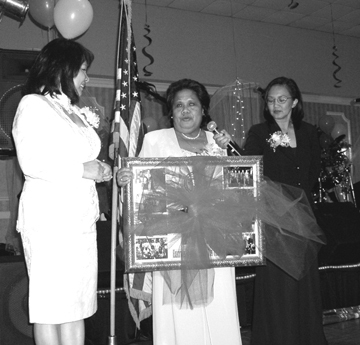 Eva Rigney, keynote speaker at the 2004 Gala and first President of The Filipino-American Association of Greater Columbia South Carolina, (FAAGC). 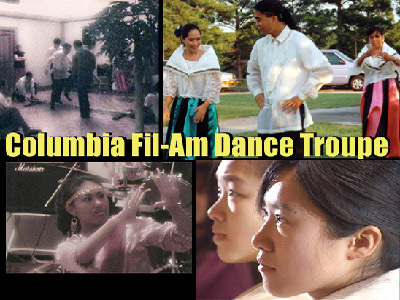 The combined Columbia Fil-Am Cultural Dance Troupe and the USC (University of South Carolina) Filipino American Student Association (FASA) performers, with dance instructor, Helen Alon, former President of The Filipino-American Association of Greater Columbia (FAAGC). 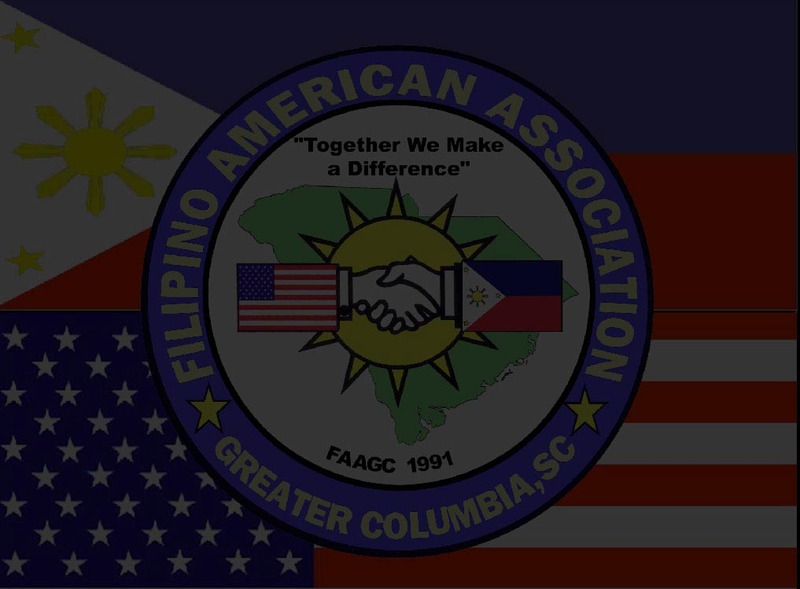 Eva Rigney, keynote speaker, and first president of the Filipino-American Association of Greater Columbia South Carolina, (FAAGC). 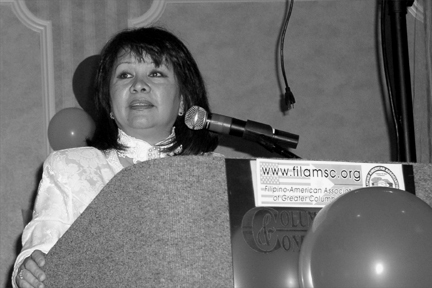 Grace Collins, FAAGC President, Marj Pena, FAAGC Secretary. 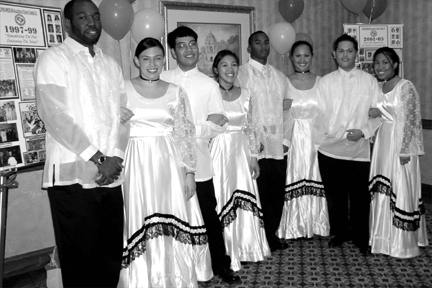 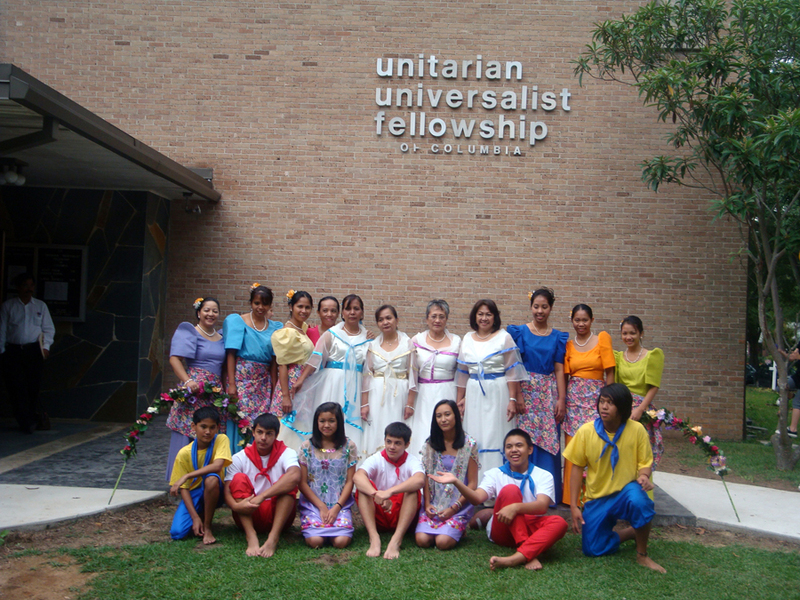 The combined Columbia Fil-Am Cultural Dance Troupe and the USC (University of South Carolina) Filipino American Student Association (FASA) performers. 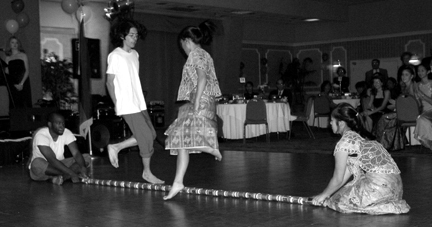 The combined Columbia Fil-Am Cultural Dance Troupe and the USC Filipino American Student Association (FASA) performers dance the fabulous double Tinikling. 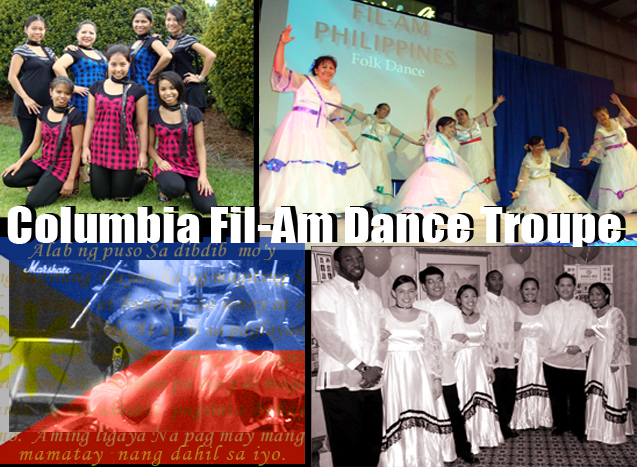 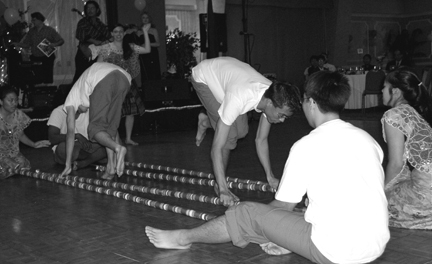 The combined Columbia Fil-Am Cultural Dance Troupe and the USC (University of South Carolina) Filipino American Student Association (FASA) performers dance the (also fabulous) single Tinikling.